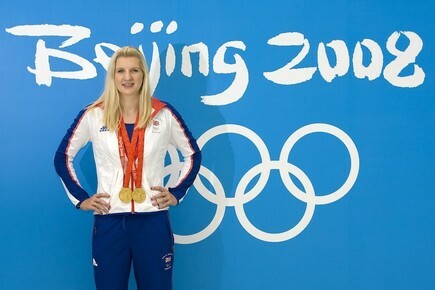 Becky Adlington is set to join the prestigious International Swimming Hall of Fame this year as part of the Class of 2018 – with the ceremony taking place in Fort Lauderdale, Florida. The International Swimming Hall of Fame celebrates swimmers who inspire and act as role models for current and future swimmers – particularly those who are involved in the education of swimming. Becky truly fits this description as not only will she be joining the Hall of Fame as Britain’s most successful swimmer, she has also been recognised for her passion to teach children to swim with the unique SwimStars programme. It’s important to Becky that not only does the SwimStars programme go above and beyond to teach children the lifelong skill of swimming, but that every child learns important values such as respect, friendship and determination.